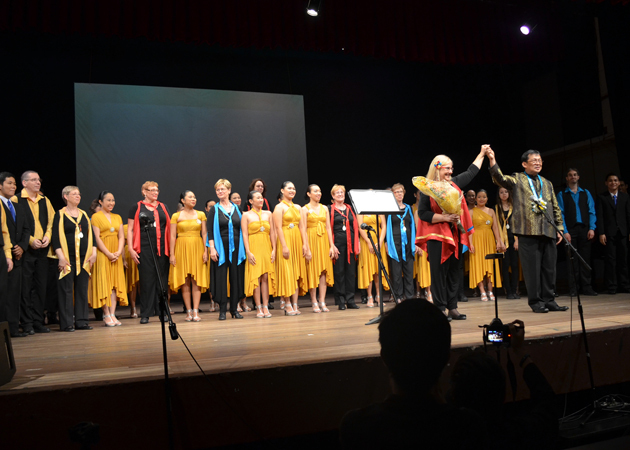 “ENTRELACÉS: Amis Pour Toujours” was a joint concert of the University of the Philippines Singing Ambassadors (UPSA) and the Erato Singers, a visiting Belgian community choir. 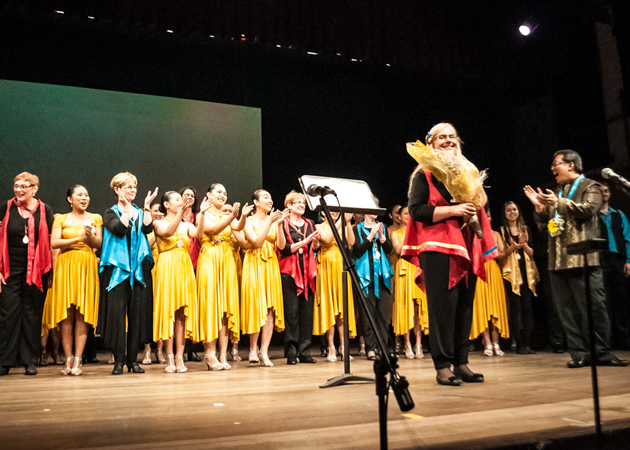 The Erato Singers traveled to the Philippines with the aim of interacting with the locals of Metro Manila and Negros, and fostering goodwill and solidarity between the communities. 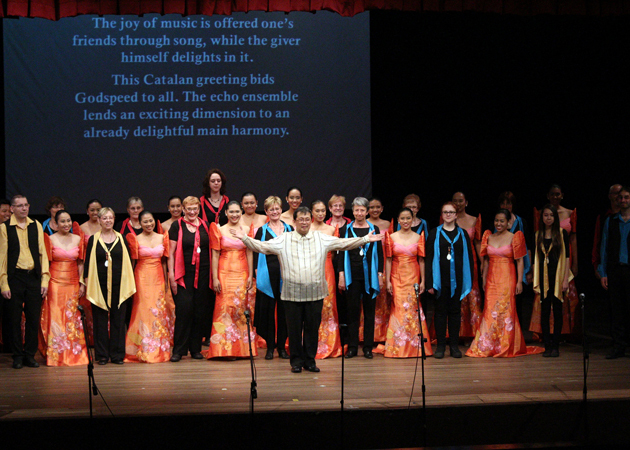 The concert was held in Abelardo Hall Auditorium of the College of Music, UP Diliman last April 10, 2014. Over 600 tickets were released for the event. 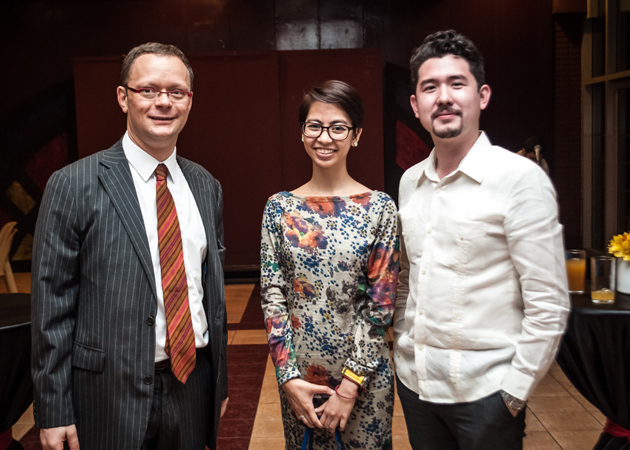 Among the attendees were HE Mr. Roland Van Remoortele, the ambassador of the Kingdom of Belgium in the Philippines, UP President Alfredo Pascual, UP Diliman Chancellor Michael Tan, UP Los Banos Chancellor Rex Victor Cruz, and National Artist Bienvenido Lumbera. “ENTRELACÉS” marked the launch of the UPSA Alumni Foundation Inc., which highlights the years of outreach work the UPSA has done. 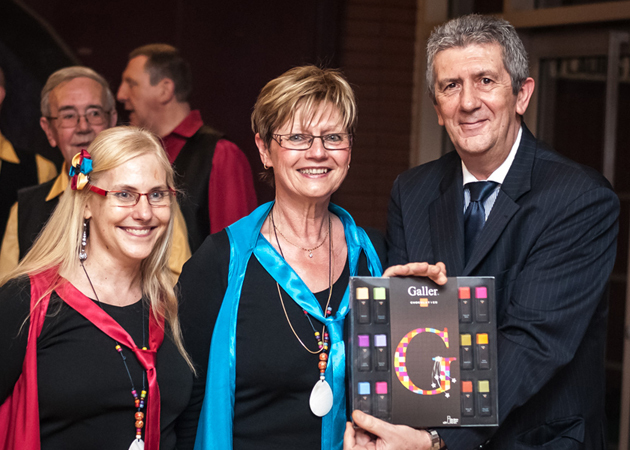 Through their efforts in sharing their music to children in orphanages, members of homes for the aged and patients of hospitals both locally and abroad, the group has connected cultures in harmony and hope to continue this with the launch of the foundation. 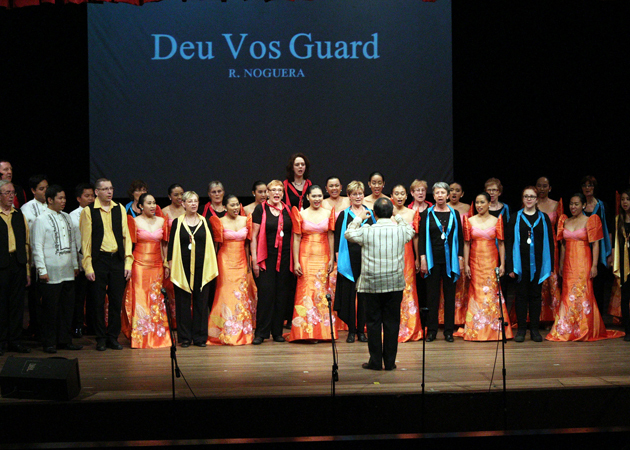 The concert ended with the joint performance of “Pobreng Alindahaw,” a Visayan folk song. 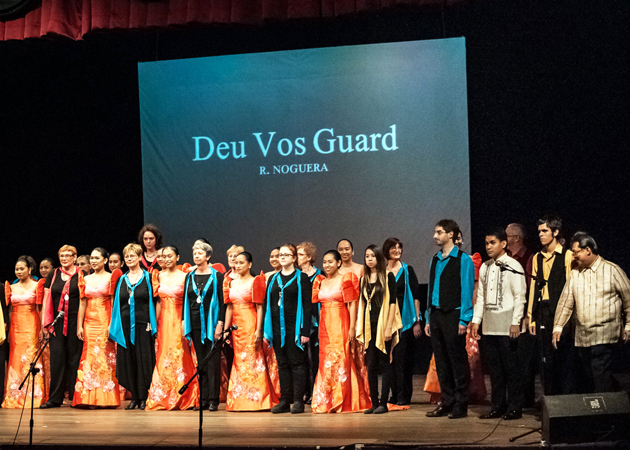 The song was first learned during the UP Singing Ambassadors’ 2012 European Tour and was performed together for the first time by both choirs. 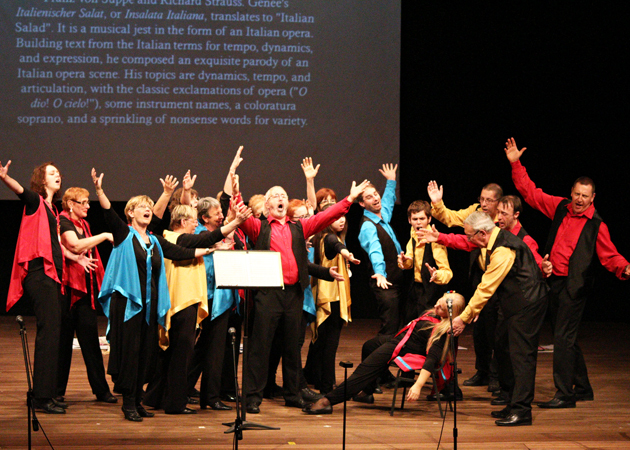 In turn, the two groups also sang “La Vie En Rose,” a French love song made famous by Edith Piaf. 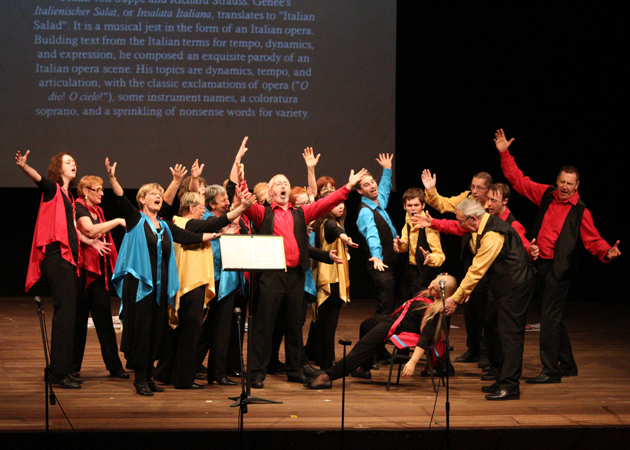 These songs symbolized the coming together of two different groups and cultures in this shared experience. Truly, it was a night to remember.